355 APIB DRAAF - Su-22. 321 IAP DRAAF - MiG-21MF. 280 OVP (four squadron) more than 40 helicopters Mi-6, Mi-8MT, Mi-24V/P. 254 OVE (one squadron) about 15 Mi-8MT and Mi-24D/V. 335 OBVP (four squadron) more than 40 Mi-8MT and Mi-24V/P. 239 OVE (one squadron) about 30 Mi-8MT and Mi-24D/V/P. 181 OVP (two flights) 4 Mi-8T/MT and 4 Mi-24V. 205 OVE about 30 Mi-24 and Mi-8. 377 OVP - helicopters Mi-17 and Mi-25. In total more than 100 planes and 300 helicopters (without DRAAF). During realization of large military operations the majority of forces could concentrate on one of the large airbase, taking place most close to a place of fights. In the quiet periods the aircraft covered areas relatives to their air bases. 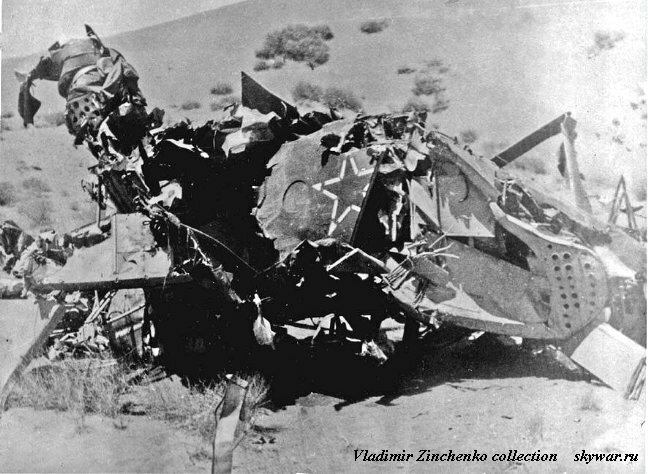 ** - This Mi-8 was dawned only one shot from old rifle "Bur" (crew recovered).